Lebanese newspaper reports Norwegian emissary began mediation between Israel and Hamas in attempt to secure agreement to return KIA bodies. A Lebanese newspaper close to Hamas reported on Saturday that Norway had begun to take part in talks on a prisoner exchange deal between Israel and Hamas. An official Israeli source has denied the report. 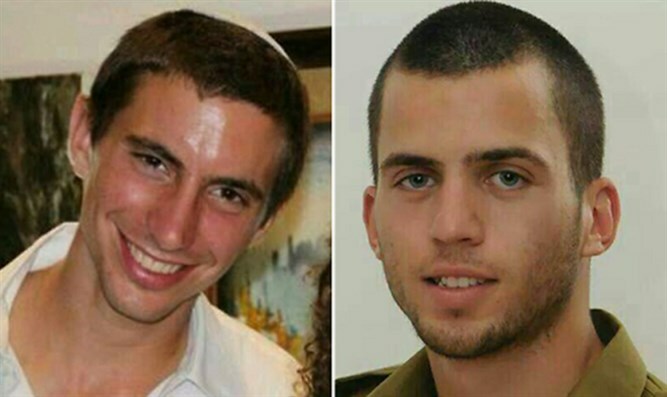 A source in Hamas was quoted as saying, "There is Norwegian involvement in negotiations for a prisoner exchange deal." The source added that Hamas' position remained consistent: "The soldiers' price is a respectable exchange deal, like the Shalit deal in 2011." Meanwhile, the Hamas delegation arrived in Egypt from abroad and from Gaza in an attempt to save reconciliation talks between Fatah and Hamas headed by Salah al-'Aruri, the organization's deputy leader, and Hamas leader Khalil al-Haya.